Bill Hope: His Story. A young pickpocket recounts his wild adventures in nineteenth-century New York. Historical fiction; action/adventure; crime. Available from Amazon and Barnes & Noble. Signed copies available from the author (cliffbrowder@verizon.net). "A must read." Five-star Amazon customer review by nicole w brown. "A fun book. The main character seemed like a cross between Huck Finn and a Charles Dickens character." Four-star LibraryThing review by stephvin. Recently I noticed an online reference to an article about the most hated CEO in America. Thinking it was about Harvey Weinstein, I decided to have a glance, and was surprised to find that the subject was none other than Martin Shkreli, whose youthful charm and financial escapades have graced this blog more than once. Mr. Shkreli now languishes in Brooklyn’s Durance Vile, the result of his having, while out on bail last September, published a post on Facebook offering to pay $5,000 per hair to anyone who stole a hair from Hillary Clinton, who was then on a book tour. He insisted that this was just a prank, and when the Secret Service, concerned about Hillary’s security, protested to the court, America’s bad boy deleted the post. But Judge Kiyo Matsumoto, like Queen Victoria in her time, was not amused and therefore revoked his bail and sent him to jail. And now the courts have given him more bad news. On February 26, 2018, a U.S. district judge ruled that Shkreli was legally responsible for $10.4 million that his investors lost because of his financial hanky panky. And why is Mr. Shkreli in jail? It’s a complicated story that I have tried to tell in posts #306 and #317, not to mention earlier accounts in posts #214 and #223. His status as most hated CEO stems not from his financial misdeeds, but from his misdeeds as a pharmaceutical company CEO, in which capacity he arbitrarily raised the price of a drug by 5,000 percent, thus provoking the public to an outburst of protest and rage. But he was on trial in Federal District Court in Brooklyn for other dubious undertakings. To put it simply, the government accused him of robbing Peter to pay Paul, Peter being a financial concoction of his, and Paul its predecessor, another enterprise whose investors he paid off with funds from his latest creation. This, said the government prosecutors, amounted to fraud, and on August 4 the jury announced its verdict: guilty on five out of eight counts of fraud, which could mean up to 20 years in prison. So now he languishes, awaiting sentencing on March 9. I confess that Mr. Shkreli fascinates me, hence this series of posts. He is my polar opposite, and I am shocked, intrigued, and amazed not just by his misdeeds, but by his obsessive vanity, his imagination and daring, his arrogance, his utter lack of shame or guilt. Only 32 at the time of his arrest, he is boyishly handsome, with a few dark curls dangling on his forehead, and a smile that seems mockingly insolent. He revels in notoriety, insisting that his status as most hated CEO enhances his image and makes him that much more attractive to women. When not involved in financial or legal matters, he used to tweet provocatively online, and indulged in endless live-streaming on YouTube, chronicling his moods and trivial daily doings and playing online chess. Whatever he did, it was always me me me, and if a young woman posted that she would like a date with him, he assured her that the waiting line was long. Such was his life, prior to confinement. How it is today I have no idea. Speculation now is rampant regarding his forthcoming sentencing. Judge Matsumoto could note that he is a first-time offender and give him modest time. Or she could emphasize the amount of the loss to investors and his unrepentant attitude, and give him the maximum. We should know on March 9. Meanwhile the once irrepressible Mr. Shkreli continues to languish, a unique New York hustler, Donald Trump writ small. Here is a reprint of my post #208 on The Donald, published on November 29, 2015, before he became the Republican candidate for the presidency. Like most of us, I couldn't believe he'd become the GOP candidate, which gives my post a certain quaint charm . It drew much of its information from Michael D’Antonio's biography Never Enough: Donald Trump and the Pursuit of Success (St. Martin's Press, NY: 2015), which I had just read. D'Antonio interviewed many paople who have known Trump, and was granted several interviews with Trump himself, until the Donald cut him off. We all know that he’s a loud mouth full of himself. That, like his predecessor, P.T. Barnum, the master of humbug, he loves publicity and is a genius at getting it. That, again like Barnum, he makes grandiose claims unsubstantiated by facts. That he lives big and wants everyone to know it. That he’s a fighter and fights nasty. That he’s a billionaire, though the latest annual Forbes magazine list of the 400 richest Americans credits him with a mere $4.5 billion, and not the $20 or $200 billion that he claims, which makes him only no. 129 on the list. So why feature him in a post? Why, as my friend John asked, should I give him more publicity, when he already has more than his share of it and covets even more? Because he’s a New York phenomenon, and this post is all about New York. Because there are other things about him, some good and some bad, that we should know, a few of them surprising. Because his antics can be amusing. And because, whatever publicity I give him, this post won’t go viral, won’t make a speck of difference in how the great mass of people regard him. But I’ll put my two cents in anyway, so all aboard for The Donald. Donald Trump today stands tall and straight at 6 foot 3, his well-preserved features topped by a mop of bright blond hair carefully sprayed into place, his suits expensive and his shirts monogrammed, with silk ties and gold accessories. His latest biographer, who had several interviews with him until Trump cut him off, describes him as a rooster in a tuxedo, or a Hollywood star all wardrobed up for a role as an executive. Enhancing his image is his office in the luxurious Trump Tower on Fifth Avenue, where one wall is plastered with magazine covers adorned with his features; his penthouse apartment there is valued at $100 million. As for hopping about the world, he has his private jet, a $100-million Boeing 757 with the name TRUMP blazoned on its sides in big gold letters, and whose seat belts fasten with gold-plated buckles. No question, he moves about in style. Here now are twelve things about him we all ought to know. The Donald’s mother, Mary Anne MacLeod, was a Scottish immigrant who went from poor beginnings to accompanying her husband as he made the rounds in a Rolls Royce collecting rents. Both his parents were superior beings, Trump insists, and thanks to them he has good genes that make him better at everything from golf to business. (A note on Fred Trump. A friend of mine and her husband once rented an apartment from him on Staten Island. Not in good shape, the apartment was overrun with roaches. One winter they were about to go off on a trip, but her husband got the flu and had to stay behind. The day after she left, he heard fierce pounding on the door. Feverish, he dragged himself to the door, found two burly men with crowbars who were trying to break the door down. They were surprised to see him. “We’re here to evict you,” the bigger one announced, waving a piece of paper from Trump Management. “I paid my rent,” said the husband, showing a receipt. He had indeed, but eight days late. Donald Trump’s love of fighting – all kinds, including physical – dates back to his youth. If attacked, he counterattacks, no matter who the perceived assailant is, a celebrity, a journalist, or the federal government, and in so doing he always insists that he is the party wronged. Today, in the age of the Internet, he knows he can use Twitter and Facebook to reach millions and clobber any unfavorable book or news item almost as soon as it appears. He dreads being seen as a loser. Suckers are those who cling to the sidelines and watch others – people like Trump -- acquire wealth and power. He sees life as a relentless battle, a struggle for survival of the fittest, and he means to be a winner. Yes, this mountain of ego has charm, can be likable. When offstage, or onstage when it’s to his advantage, he oozes it. When schmoozing, he shares supposed secrets, is ready with praise, and offers sympathy, thus creating a kind of synthetic friendship. He admits to having a con man’s talent for persuasion. To pull off a deal, along with connections and insider status, he uses charm. Yes, this bully can be kind. His employees describe him as demanding, but generous with pay and benefits. His former chauffeur tells how Trump paid for the doctor’s bills stemming from his wife’s pregnancy, calls him “a good guy.” A loving father, too, even though he’s gone through three wives to date. And when a boy of ten with terminal cancer asked to be “fired” by Trump on his TV reality show The Apprentice, where the losers were always fired by him, Trump couldn’t bring himself to utter the words “you’re fired”; instead, he gave the kid a check for several thousand dollars and told him to go have the time of his life. For all his talk of a struggle for survival, he is an optimist, an advocate of the “power of positive thinking” of Norman Vincent Peale, whose church he and his father attended. He has experienced many bankruptcies (of his properties, never of himself), many defeats, but always bounces back. Part of the beauty of me is that I’m very rich. I was never a drinker. I was never a drug guy, and I was never a cigarette guy. I’ve been much more successful than people even admit. I don’t like to analyze myself, because I might not like what I see. The New York Daily News, when he announced he was running for President: CLOWN RUNS FOR PREZ. When insulted by Trump, Kim Novak felt so humiliated that she took shelter in her home and didn’t go out for weeks. 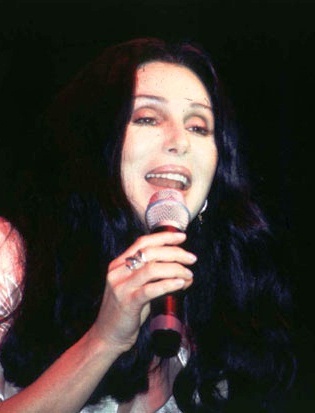 But others were tougher and met him taunt for taunt: singer/actress Cher, Mayor Ed Koch, and hotel owner Leona Helmsley, known also as the Queen of Mean. arrested on various charges, including tax evasion. All the participants in these public exchanges show themselves at their grade-school worst. It fascinates friend and foe alike. Fearing baldness, he uses special creams and evidently had a surgical procedure to close a bald spot on the back of his head. He has denied having surgery, but circa 1990 his brown hair was mysteriously transformed into a swirl of reddish gold, with strands from one side to another, and from back to front. Speculation raged in the media, and Time magazine published an account of how hair grown long in back can be combed forward, then swept back and fixed with a spray. Insisting that his hair is his own, Trump sometimes invites visitors to pull on it. Meanwhile, costume makers have begun selling Trump wigs for Halloween. This photographer got him from behind. Sneaky, what? Imagine this hairdo protected by the Secret Service. With Donald Trump, image trumps reality (no pun intended). This explains his preoccupation with the confection topping his pate, and much else. Everything depends on his keeping his name out there as an image of wealth and success. His face has appeared on the cover of countless magazines. There is a Trump Tower, a Trump Plaza, a Trump Park, and by the start of this century there were – albeit briefly -- Trump steaks, Trump loans, and a website called GoTrump.com. The Trump Tower on Fifth Avenue. As unpretentious as The Donald himself. From 2005 to 2010 there was also a Trump U, offering retreats on “wealth preservation” and “creative financing” for a mere $5,000 each, and much more. Even though this was sponsored by a man whose business ventures have ended in multiple bankruptcies, students flocked. Since then the Attorney General of New York State has filed a lawsuit claiming that Trump U was not a bona fide university but simply an overpriced how-to-get-rich program making bogus claims, and there are class-action lawsuits filed by disenchanted former students in California. The success of the reality TV show The Apprentice depended on contestants competing against one another for a one-year job with a glamorous businessman named Trump, and more than 215,000 people applied to be among the first 16 contestants on the show. Because whatever his critics say, and no matter how many business failures he has racked up, or how many polls show that most Americans dislike him, lots of us still love what he offers; we feast on the image, not the fact, of success. Donald Trump has little time for reflection or analysis, just blurts out his thoughts regardless of the consequences. This pleases many voters, who notice the contrast with Hillary Clinton’s cautious, calculated approach. This brashness passes for candor, though some might call it folly or imprudence. But is he serious? He offers many an outlandish opinion with a grin or a scowl or a poker face, as if daring others to guess if he really means it or not. Michael D’Antonio, his most recent biographer, knows him as well as anyone can, and believes that Trump’s 2000 presidential campaign was “the first true pseudo-campaign in the history of the presidency, a determined effort to exploit the political process by a man whose real purpose was profit.” Or profit and self-aggrandizement. So is his 2016 effort, under way already, another pseudo-campaign? Serious or not, it’s my opinion that, if he sees he won’t be the Republican candidate, he will bow out with a grin, as if it all really was a joke. Why? Because he can’t stand being labeled a loser. His star on the Hollywood Walk of Fame. And let’s face it, we Americans do like risk-takers, do admire wealth and success, do want to achieve them for ourselves. And we do envy those who strive big and get away with it, or get away with it almost. So maybe The Donald is us, blown up to gigantic and offensive proportions. Alas. But clowns belong in a circus, not the White House. Now I'll add a comment from today, when we live in the era of Donald. The Tweeterer in Chief's critics (and they are legion) wonder why the evangelicals support a man whose moral and social lapses are obvious to all except his hard-core base. Enlightenment on the subject comes from David Brody's article "In Trump Evangelicals Trust" in the Sunday Review section of the New York Times of February 25, 2018, which I recommend in its entirety. Trump has told Brody, the host of "Faith Nation" on the Christian Broadcasting Network, that his father was a fan of the recently deceased Billy Graham. And Trump was so impressed by the work Billy's son Franklin did for flood victims in Louisiana in 2016, that he wrote him a six-figure check. Evangelicals believe that God uses flawed individuals to accomplish his will. God, who has a sense of humor, gave evangelicals this very flawed president, who has done much for them: court appointments, pro-life policies, religious liberty issues, and more. Yes, God works in mysterious ways.